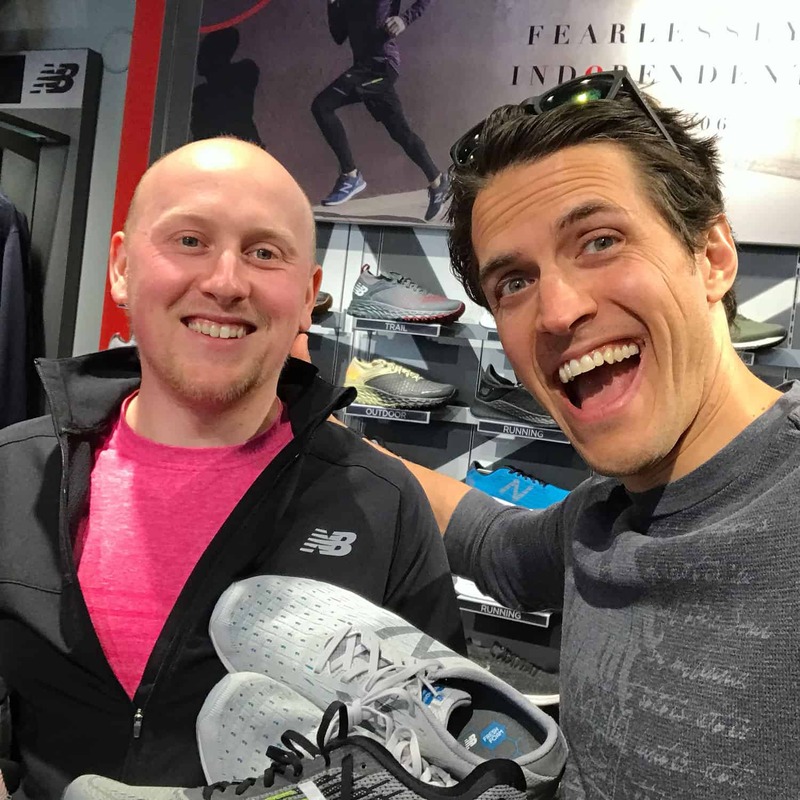 Today on the podcast, I’m getting fitted for a new pair of running shoes by Josh Russell at the New Balance store in Bridgeport Village! When was the last time YOU got fitted for running shoes? 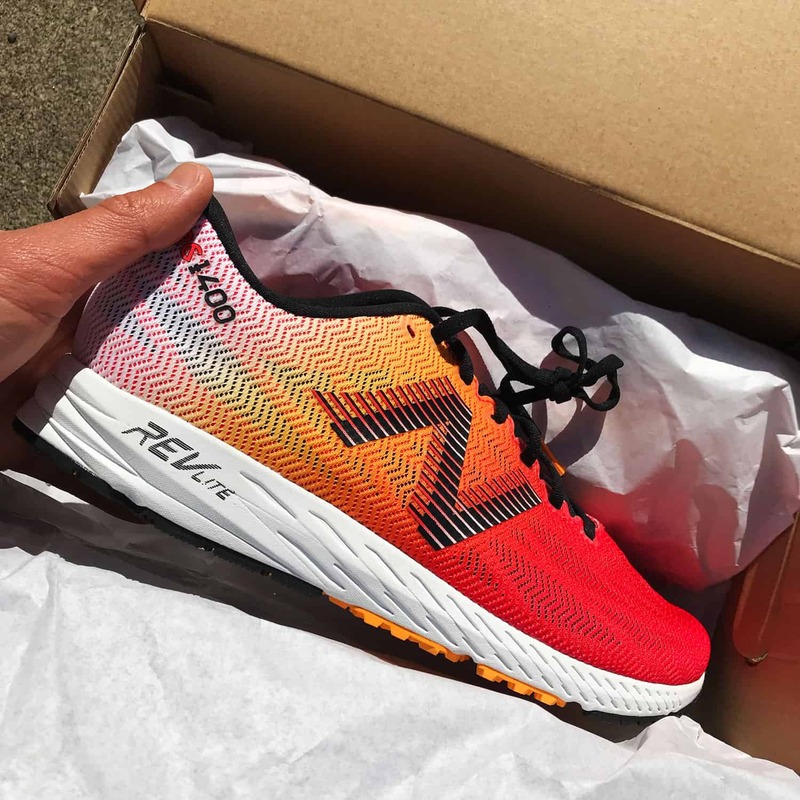 By fitting, I mean going to a specialty running store and having an expert measure your feet, watch you run or walk, then suggest a few different shoes to try until you find one that feels good? If you’ve never none, this, you should. It’s amazing. The first time I did this was before my freshman year of high school, back in 1993. My mom took me to the local sporting goods store in my hometown, and “Herb” suggested a pair of Asics after doing his magic of looking at my feet. I essentially wore the same shoes until college, when another “Herb” (these guys all seemed to be named Herb), looked at my feet and suggested something new. I’ve been running for so long and know my size and generally what shoes I like. Until I talked with Josh, It had been a while since I had a proper fitting. 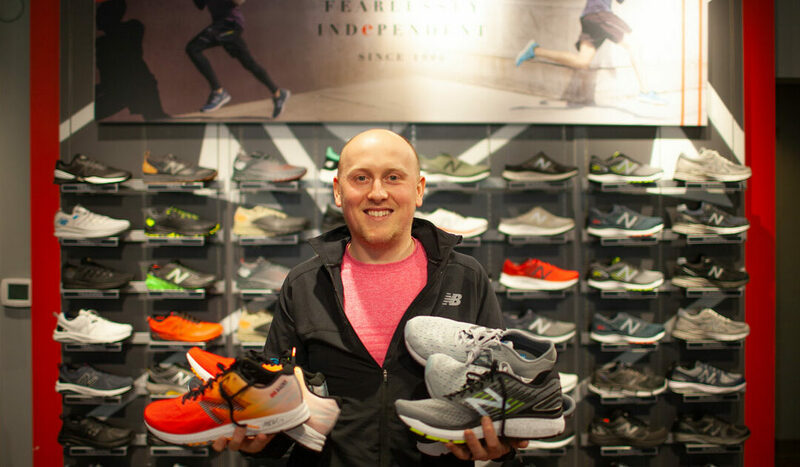 A few weeks ago I had the opportunity to visit Josh, who is the Manager at the New Balance store in Bridgeport Village, in Tualatin. My racing shoes are the New Balance 1400’s, and I’ve run many races in them. So I was excited when Josh contacted me about being one of our partners for a few runs in the SW Metro. I’ve had many conversations with our participants about running shoes, so I hope this episode will help shed some light on getting a proper fitting. Here are just a few fitting tips you should know when looking for running or walking shoes. These terms refer to the way your feet hit the ground while running or walking. If your foot rolls in, you are a pronator. The inner part of your foot and arch absorb the majority of your weight when you land on the ground. If your foot rolls out, you are a supinator. Your pinky toe and the outer edge of your foot absorbs the majority of the impact. Motion Control Shoes help runners with lots of inward ankle rolling (pronation). Usually, they have a “bar” of some sort, and “medial and lateral posts” that limit the amount the foot can roll. They tend to be big, bulky, and heavy. If you notice excessive wear on the inside tread of your current shoes, you may need these. Stability Shoes are recommended for anyone with a “normal” arch. They can help with mild pronation. They tend to be a bit more “responsive” and not quite as firm. I usually wear stability shoes, although I’m slowly transitioning into more neutral shoes. Neutral/Cushioned Shoes are for those runners who roll out (supinate) or have minimal rolling. They tend to be a bit lighter, and generally only for a medium arch type. The term “drop” when talking about shoes refers to the difference between the height of the heel and the height of the toe. Drop primarily affects how your foot strikes the ground when you land. A low or medium heel-to-toe drop (zero to 8mm) promotes a forefoot or mid-foot strike, while a high-drop shoe (10–12mm) promotes heel striking. I tend to run in more of that 8 – 10 range because as Josh mentioned, I’m more up on the forefoot. This isn’t good or bad, but sometimes, one or the other can lead to certain injuries. This is perhaps more about preference and running style… although some people have firm opinions about this. The bottom line, find a place that will fit you with a shoe that works best for you. Josh says it’s all about comfort, so make sure you find shoes that are comfortable in the store and on the roads.